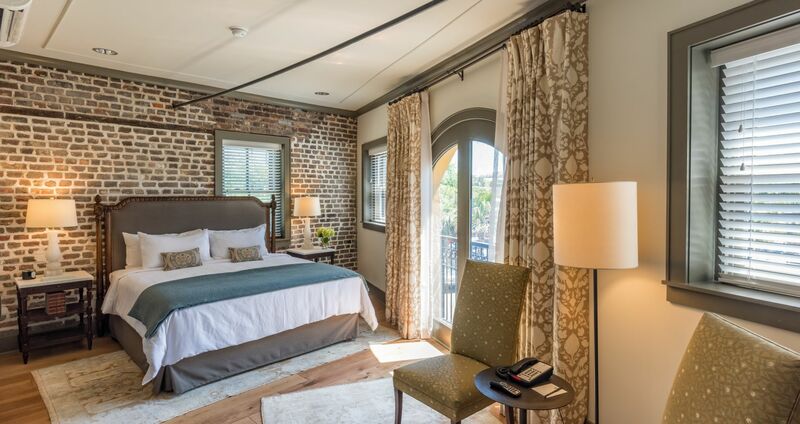 This St. Philip Suite in downtown Charleston features magnificent views of the Market Street area and St. Philip steeple from the picturesque arched window. 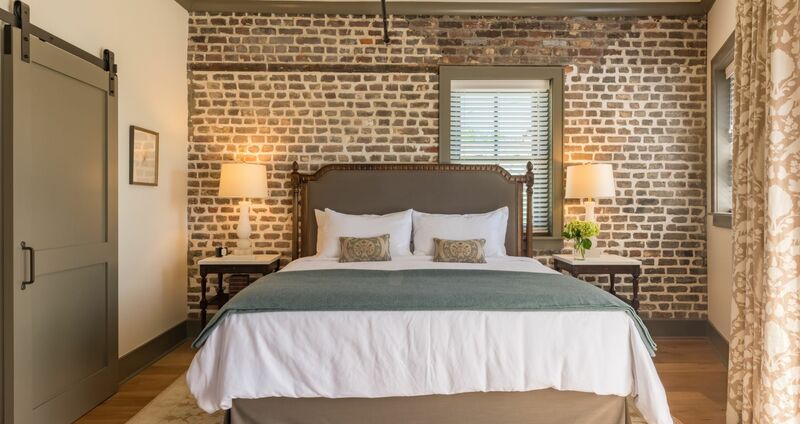 Wrapped in the soothing light blues, sage greens and accented with exposed brick, the one-of-a-kind St. Philip suite abundantly provides both historic and romantic charm. 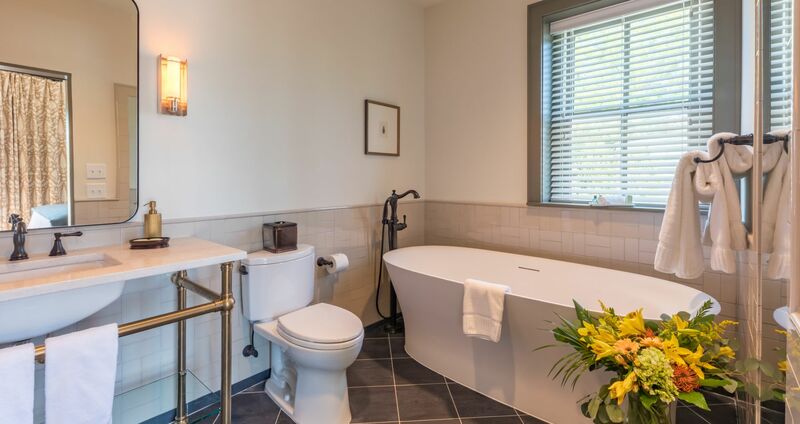 The luxurious bathroom is enhanced with hand-laid Italian Travertine tile, granite countertops, Kohler bath fixtures, and a soaking tub with spa-like shower combination. 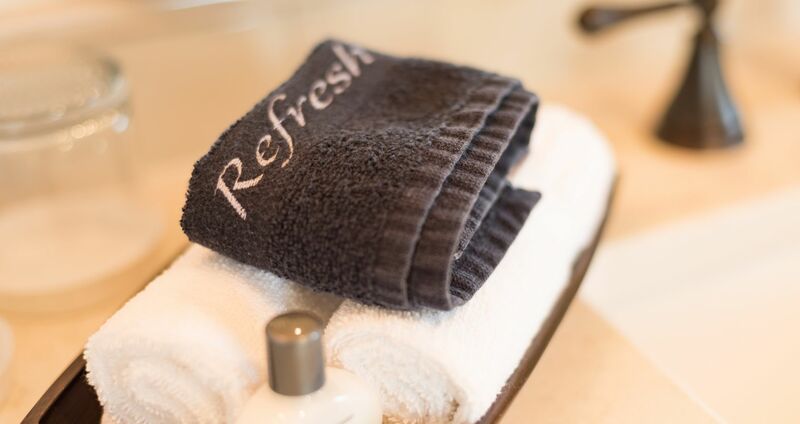 The suite offers premium in-room comforts and Gilchrist & Soames bath amenities.